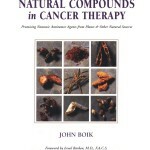 The world is full of people telling you everything natural can cure or prevent cancer. You know much of it is hogwash, but don’t know where to go to get reliable information about different natural products’ usefulness. If this describes your current situation you should take a look at the pdf file for this book. 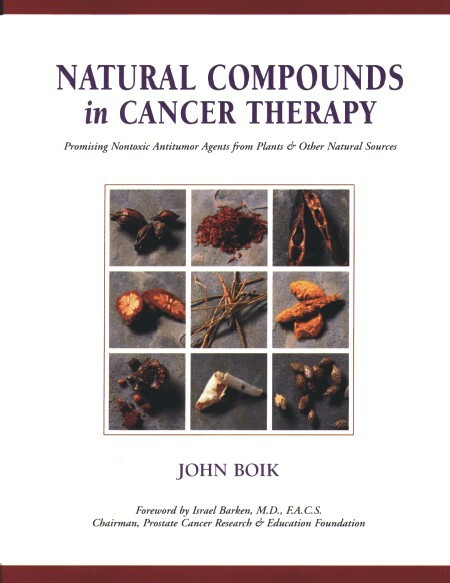 It’s the best book that I’ve found for providing evidence based information on the usefulness of different natural compounds for the prevention and treatment of cancer. It provides the information in a readable format and is balanced in its presentation. It is also well indexed and easy to look up particular substances in without having to read the whole book. It is no longer in print, but used copies can be found at Amazon.com. I bought my copy there. However, the author has made the book available as a pdf file at this location. The author has asked for a donation of $25 if you like and use the book. It’s well worth the price, and I hope you’ll think so too after you’ve taken a look at it. You can donate to the book;s author online at the website listed above, or by sending your donation to an address listed in the pdf file.